Our client is seeking a qualified life actuary with an in-depth understanding and experience of the With-Profits business to manage a team responsible for the production of bespoke customer quotations, remediation issues and other customer related technical queries. 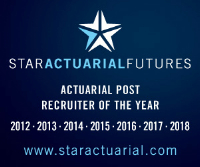 In this key role, you will also be responsible for the management of the With-Profits business, in particular bonus setting, assessment of management actions, attending With-Profit panels and other related actuarial work. In addition, you will manage various product support tasks, for example, regular product reviews, unit pricing and maintaining reinsurance arrangements. Excellent communication and interpersonal skills are essential, as well as the ability to influence key peers and stakeholders.